When it comes to your health and overall well-being, you shouldn’t wait until it gets worse. Despite how busy you can be, it is crucial that you observe and listen to what your body tells you. Often, people disregard health indications because they tend to underestimate their severity. Only when symptoms aggravate that they decide to seek medical help. Moreover, there are symptoms that are too scary to ignore, such as a sharp pain in the chest, an excruciating headache, or vomiting blood. And it’s only reasonable to feel threatened by such symptoms because they may be indicative of something serious, life-threatening even. 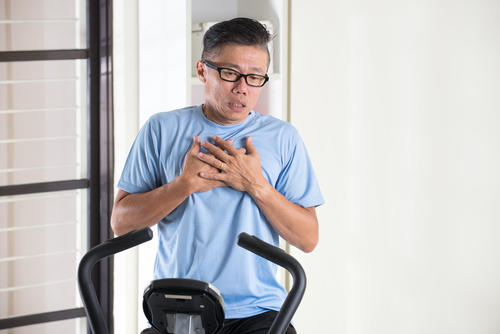 Dyspnea or shortness of breath can be caused by many factors such as weight gain. These other factors may also be serious, such as heart attack, stroke, and blood clots. Lung infections will also manifest in the form of making it harder for you to breathe. Asthma is another medical condition that contributes to your breathing problems. And while anyone can experience shortness of breath every now and then, it becomes serious if it’s abrupt, severe, and disables you to perform normal activities. You should be assessed by a doctor right away in order to rule out possible serious causes. Sharp pain in the chest may be attributed to lung infections, acid reflux, or musculoskeletal problems. Since chest pains may also indicate a heart attack, seek medical help immediately if the achiness manifests abruptly and is not alleviated by proper rest. This is especially important if your chest pains are accompanied by other symptoms, including vomiting, being nauseous, sweating, and difficulty breathing. Persistent dizziness and fainting episodes can both have multiple triggers, including allergies, infections, or cardiac or neurological problems. For sure, these indications require a visit to your physician. Abrupt weakness of any limb or facial muscle should be evaluated as soon as possible because it possibly points to stroke. 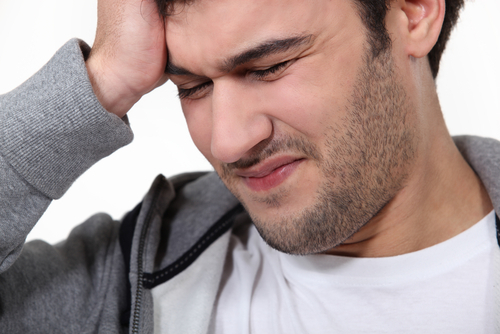 An agonizing headache that suddenly manifests could also indicate possible stroke. So, when this happens, when you feel that the pain is the worst kind of pain you’ve ever experienced, get help right away. When it comes to stroke, time is gold. The sooner the doctors can halt the bleeding, the less severe the damage is likely to be. On the other hand, a severe headache that goes together with a stiff neck or a high fever could point to meningitis, which is a viral or bacterial infection of the membranes surrounding the brain and the spinal cord. Viral meningitis is seldom serious but it’s not the case with bacterial meningitis. With the latter, early diagnosis and treatment are vital to avoid long-lasting neurological impairment. So, get medical help right away. This can be caused by an injury, like a blow to the head. Other likely culprits are allergies or infections. If you’re experiencing loss of vision or things are getting blurry, you need to have it checked by a doctor. Changes in your vision should be enough reason to get on your feet you right away to be evaluated by a health professional. Being confused and experiencing mental changes may be difficult to notice when they’re happening to you, but you may notice them in others. If someone appears to be encountering these symptoms, check if they’re taking prescription drugs and if they may have taken their medications excessively or incorrectly. If the commencement of this symptom is abrupt and strange, get help ASAP. Abrupt and excruciating pain that came out of nowhere may be caused by several health conditions, such as herniated discs, infections or swelling. Sharp pain in the abdomen could also indicate a kidney infection, bladder infection or appendicitis. It the pain becomes persistent, seek medical help. Bleeding becomes uncontrolled if it doesn’t end after five minutes of straight and firm pressure application. Regardless of what causes the bleeding in the first place – whether it’s an injury or an illness like leukemia, medical help is required without delay. While these indications could be attributed to a serious instance of gastroenteritis, they could also point to meningitis, appendicitis or even food poisoning. More often than not, gastroenteritis is viral and wanes on its own. But, if there’s blood in your stool or fever, you could have a bacterial infection, which would require you to take antibiotics. Dry throat during a cold could lead you to cough up a little blood. However, it’s a different story if you’re coughing up blood steadily and continuously. It could be something more, such as bronchitis, cancer, tuberculosis, or a blood clot in your lungs. It could be pneumonia if you also have a fever and you’re having difficulty in breathing. Vomiting blood, on the other hand, is more serious, which is why it needs to be medically assessed instantly. It could signify a bleeding ulcer or even tumors in the stomach or esophagus. A major liver damage could also be one of the causes.